I don't wear eyeshadow that much, so when I was looking around for some basic natural shades, this is the palette I went with! 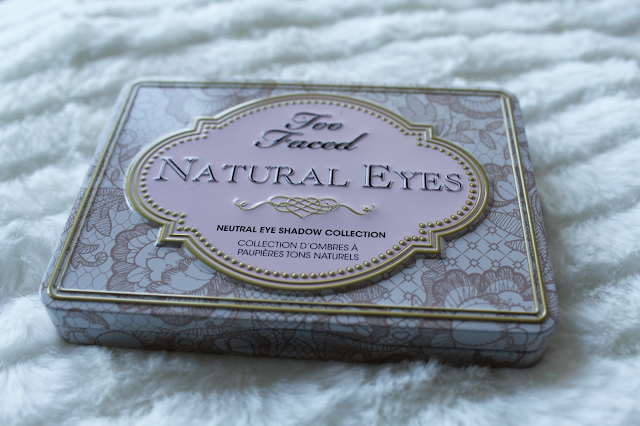 I wanted a mixture of shimmer shades and matte shades, and the Too Faced Natural Eyes Palette was perfect. 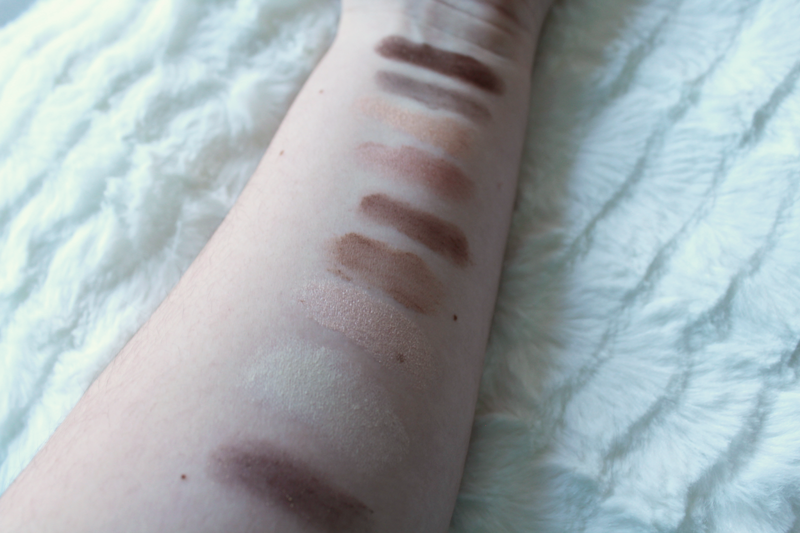 Can I start off by saying the swatches shown above really don't do the palette justice - they are much nicer. Perhaps it's because they're on my arm and not my eyes? (lol) I have quite hooded eyelids, andI've been told many times that matte shades are better for my eyelids. However, I do like the option of adding a bit of shimmer if I want to as well. 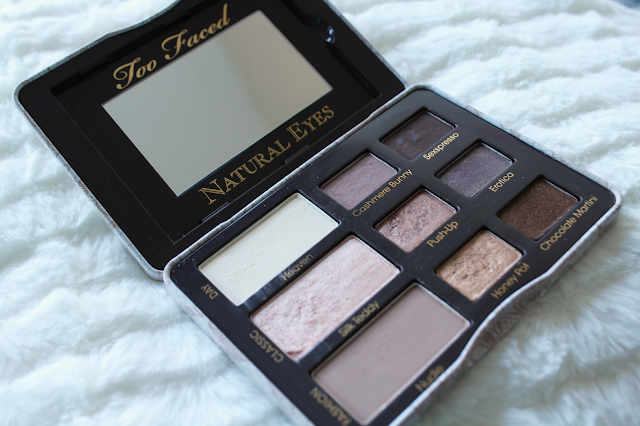 This palette is great for natural white/champagne looks as well as brown/smokey eye looks. The colours are not as pigmented as the Urban Decay Naked 2 Palette I have, but it doesn't take much to build the colour up. When applying the shaddow I always first spray my brushes with MAC Prep and Prime Fix, and spray it all over my face once the look is completed. Not only does it improve the pigment in the colours, but helps them to stay on all night! This palette was bought from Debenhams, but they sell it online too! What are your favourite natural palettes? Let me know in the comments below!